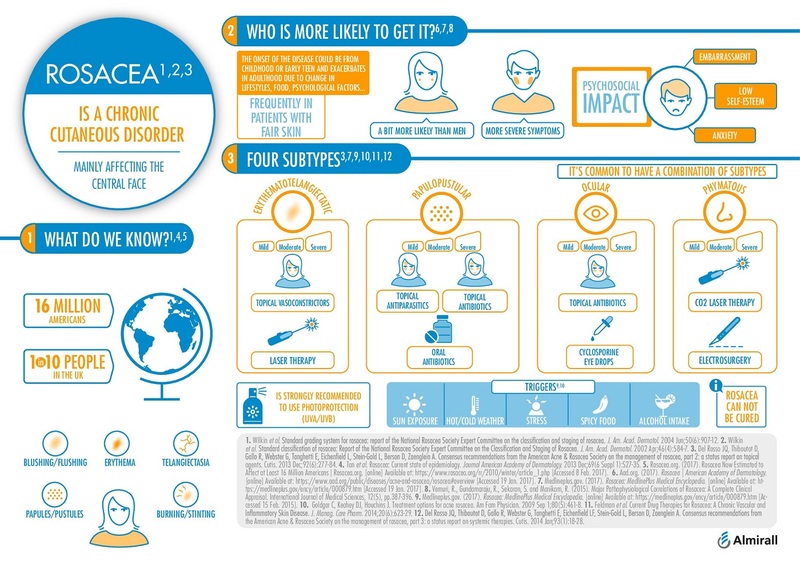 In an attempt to raise awareness about rosacea, Almirall has released an infographic on how to identify rosacea subtypes and triggers. With the warmer months right around the corner, someone with rosacea can witness worsening symptoms due to increased sun and wind exposure and outdoor activity. Though rosacea can’t be cured, proper treatment and protection can help manage symptoms. Depending on the subtype, certain treatments can be sought out.